The internet has enabled us to talk and discuss the topics we are most passionate about. An entire community sprung up online to fawn over recent Netflix hit Black Mirror, and during the recent issue about Supreme Court nominee Brett Kavanagh, thousands of commenters, especially on Twitter, huddled over their keyboards and have become keyboard warriors to discuss and debate. Nowadays, people really become keyboard warriors on topics about politics, religion, and their likes. It would be foolish then for radio station websites not to get in on the act. One of the features of RumbleTalk to address this is to embed a chatroom. The relationship between a radio station and the listener has always traditionally been one-sided— one talks and plays music and the other listens. There are a number of reasons why this still shouldn’t be the case. If you embed a chatroom into your radio station website, then you can engage with your audience in a whole new way. Imagine that you are a radio host. Your work is a juggling act, one in which you must pay close attention to the music, the switchboard, and the needs of your listeners. It’s not easy, but you’re doing well—the numbers show that there are plenty of listeners tuning in. When you call out for song requests, however, very few people get involved. The same goes for callers; usually, there’s no response. What’s the problem? It could be that your listeners are simply too busy with their lives to phone in. Or, maybe they don’t feel comfortable talking live on air. Whatever the reason is, a chatroom is a perfect panacea for these problems. When you embed a chatroom, a listener can send a message or request instantly. No queues, no pressure, just instant communication. 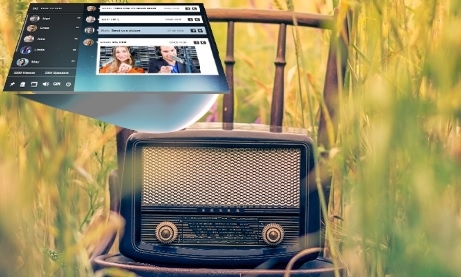 You can tweak the content of your radio show in turn, and you can immediately improve the show for your listeners, for more engagement either verbally or through your chatroom. From there, it gets better. Before the generation of smartphones and the internet, listeners were restricted to texts and phone calls; now, they can use a range of media to get their point across. Instead of trying to tell the host a funny story, a listener could send a picture of it in the event that it happened. This could be enjoyed not just by the host but by the entire community, leading to more discussion. There’s nothing wrong with a caller explaining the current political debate, but why not embed a YouTube video, where you and the other listeners can watch? If this sounds overwhelming, don’t worry. Quality chat rooms allow you to configure them to fit your needs, however, you want it to be. In the first quarter of 2018, it was found that, from 45%, 57% of online radio listeners are listening to podcasts once a week. This means that, throughout the years, radio station websites still continue to gain listeners. For many, especially the old generation, it is their primary means of hearing the news and learning about the latest issues, trends, and gossip. For a radio station, being on top of those issues is a great asset. When you embed a chatroom into your radio station website, you can learn more from your listeners than their favorite song of the moment. You discover their pressing concerns, the stories that are burning in the hearts and minds of your audience. You can use this as a strategy to become an indispensable public service in the eyes (or rather, ears) of your listeners. This is especially significant during a Q & A or a live debate or event. By inviting the perspective of your audience, you can gain valuable insight into every facet of the issue. Maybe you and your team overlooked an aspect of a discussion that one listener deems crucial. A chatroom enables you to tailor the content and structure of proceedings in real time based on what your listeners want to hear. In doing so, you can build a relationship with your listeners, which brings us to our final point. By embedding a chatroom into your radio station website, you lay the foundations for a community to grow. A group of listeners who sends messages to the host will naturally begin sending messages to each other, creating a whole new community. These people would have previously listened alone. Now, they generate a powerful following for your radio station and its programming that both of you can enjoy. This feeling of camaraderie will have them come back for more the next time you air. This, being the internet, debates can sometimes turn ugly. As the administrator, you can communicate directly with any listeners who are being abusive or having a negative impact on the chat as a whole. If they continue to do so, you can suspend them or even remove them from the chat entirely. You will serve as the role model and the rule maker of your radio community. Embedding means getting a piece of code and adding it to your website (WordPress, HTML, etc). 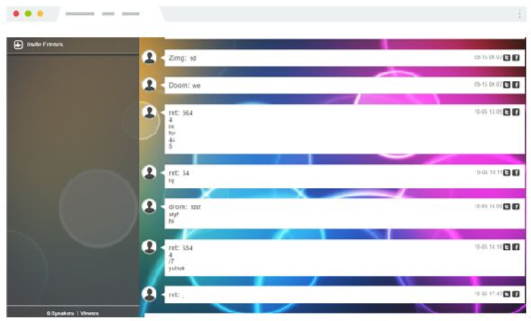 RumbleTalk provides 2 types of embedded chatrooms. 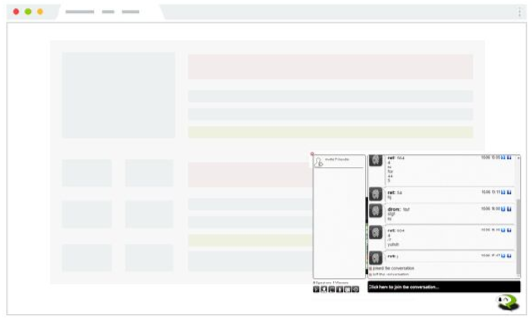 A floating toolbar chatroom, which is an icon on the right or left. An embed option on a page, where you can copy and paste an embed code on your website. In addition, you can always get the chat to be full screen using a link that is shared with your audience. How Do You Embed a Chatroom? In this section comes a guide of how you can embed a chatroom in your website. Follow these steps for easy embedding. In your new Rumbletalk dashboard, you will see the Embed option. Click on it. After clicking it, a setting for the Embed option will appear. It’s easy, right? Now, you can communicate more with your audience and vice versa. Of course, you can’t have your eyes on the chat all the time; you have a radio show to run. Not a problem—you can appoint members of your team to act as moderators. They can keep an eye on the chat and ensure healthy discussion while you operate the studio. Those are just a few of the excellent reasons to embed a chatroom into your radio station website. It’s important to note that not all chat rooms are equal, and not all of the aforementioned features are available in all chatrooms. Previous postWhat Can You Do To Personalize Your RumbleTalk Chat Room?